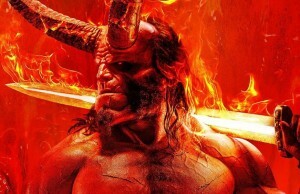 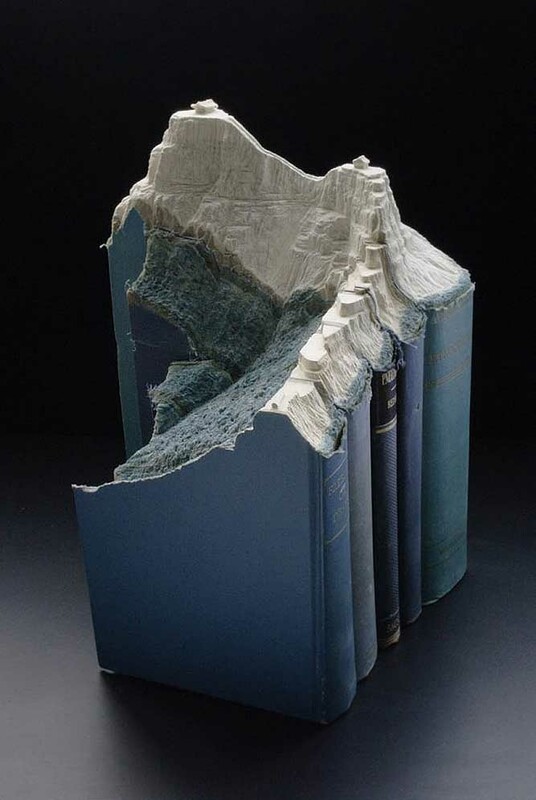 In the era of Kindle and e-format books, one must think themselves what is going to happen to all physical books in the world already printed. 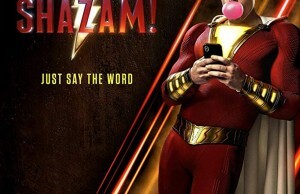 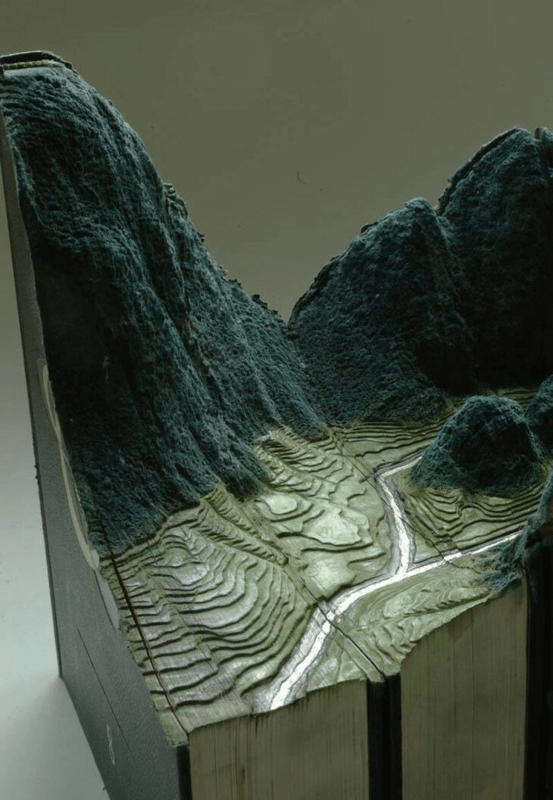 One of the possible scenarios is in the photos in this gallery. 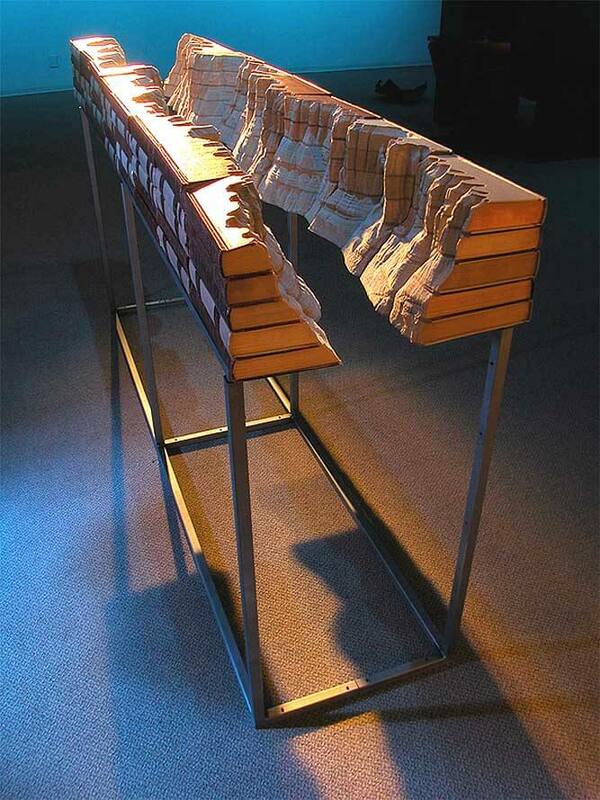 Just like books changed their form, the physical form of a book became a medium for a totally new artistic expression. 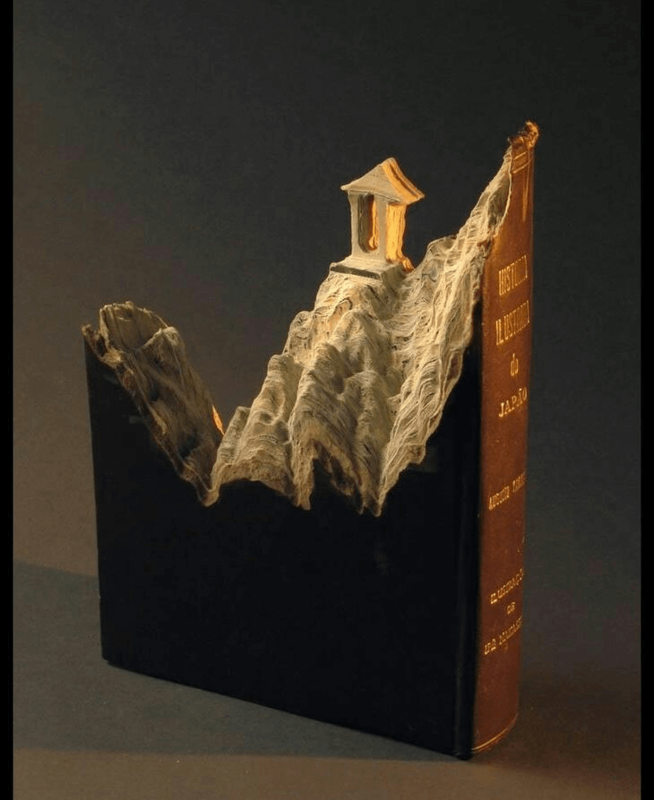 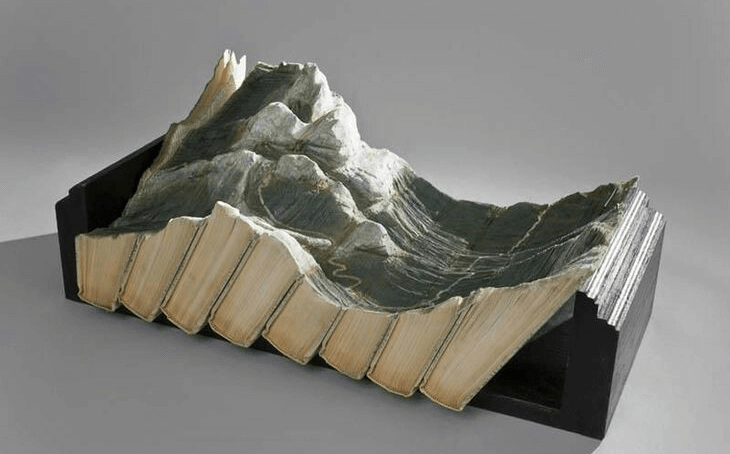 Guy Laramee is making extraordinary landscapes by carving books. 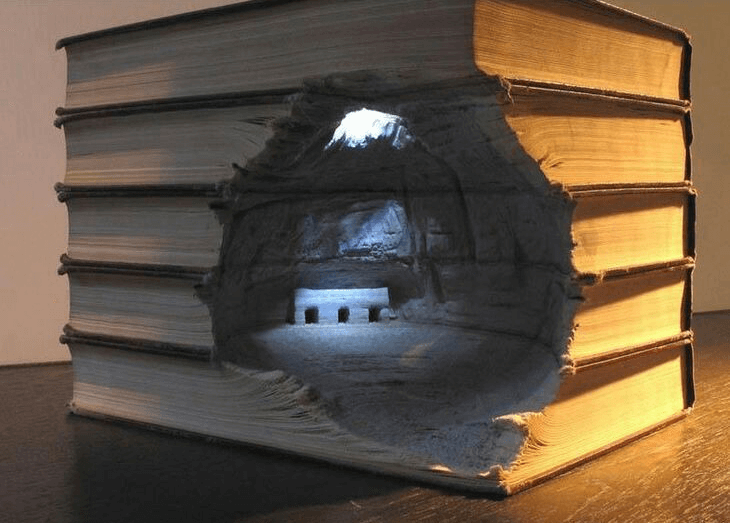 My feelings are a bit mixed about this since I’m a book lover. 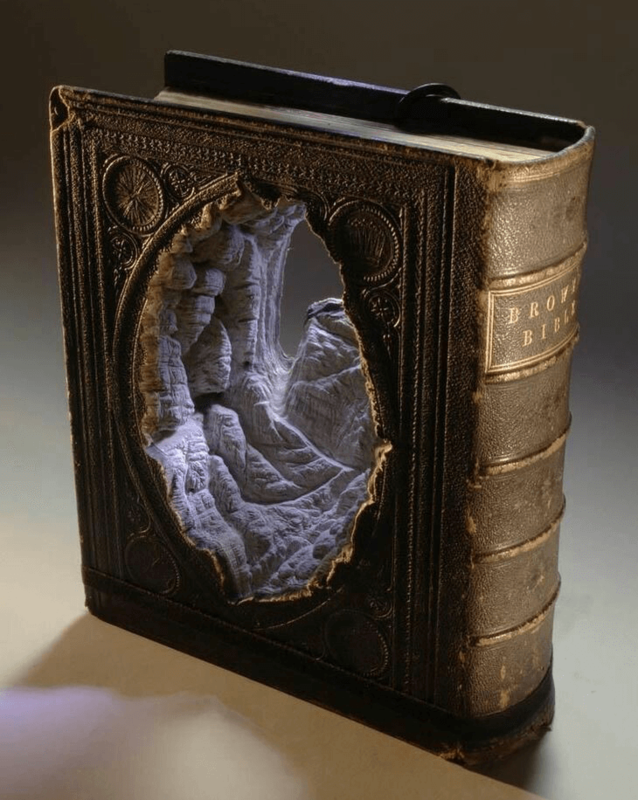 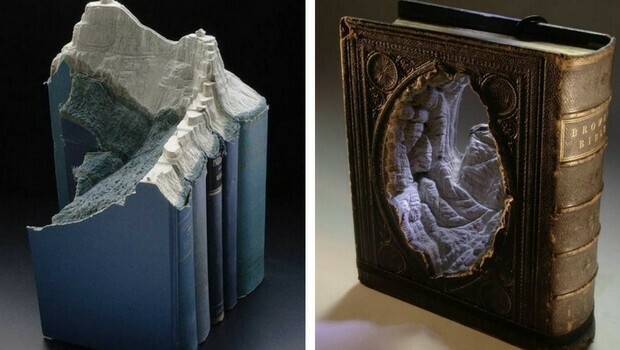 On one side I feel sorry for all books that have been carved, and on the other side, I can’t hide my admiration for this creative astonishing artwork. 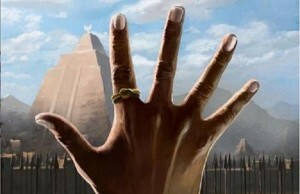 Laramee is a versatile awarded artist. 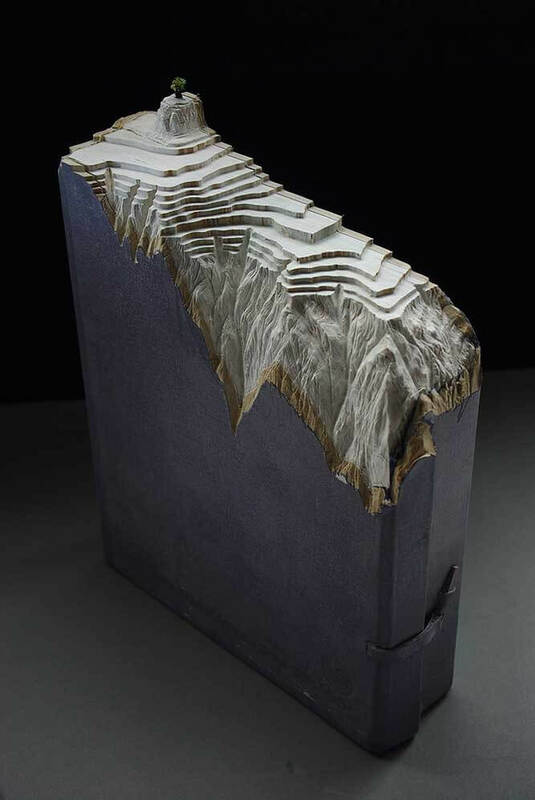 As it stands on his website In the course of 30 years of practice, he has created in such varied and numerous disciplines as theater writing and directing contemporary music composition, musical instrument design, and building, singing, video, scenography, sculpture, installation, painting, and literature. 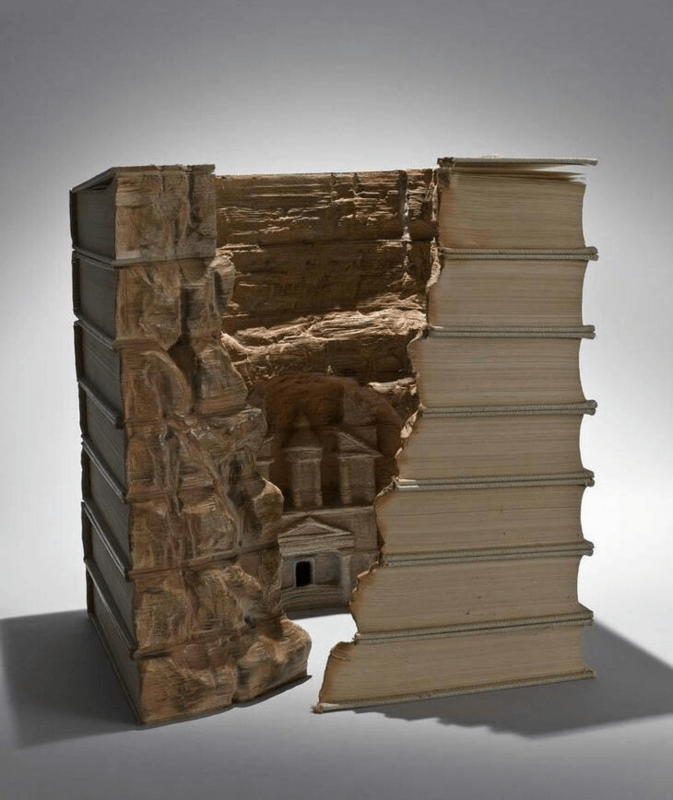 He has received more than 30 arts grants and his work has been presented in United States, Belgium, France, Germany, Switzerland, Japan, and Latin America. 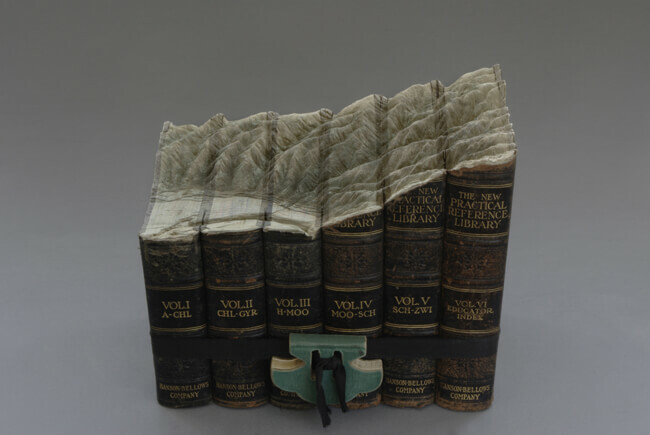 Check out the collection of Guy Laramee’s landscape artwork made from carved books in the gallery below and learn what the artist said about his work. 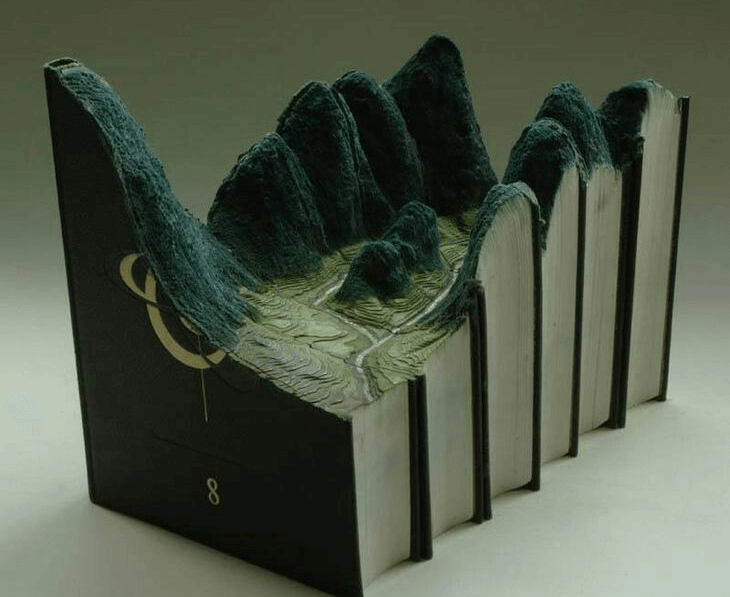 Keep scrolling for more Guy Laramee’s landscape artwork made from carved books.